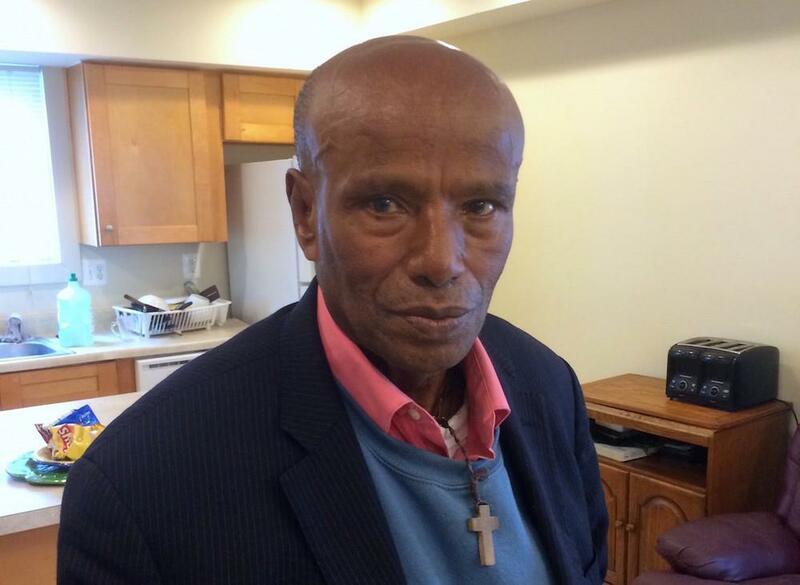 Taddese Dinku had been a cartographer and surveyor in Ethiopia for nearly four decades when in June 2014, at the age of 64, the local police arrested him at his home in Addis Ababa. They told him it was because he would not join the Ethiopian People's Revolutionary Democratic Front, the country's ruling political party, which is known for systematically quashing dissent. Dinku spent 15 days in jail, fearing for his life—because, as he put it in a recent interview, "If they put you in jail, they may kill you." So that December, he boarded a plane from Addis Ababa to Washington, DC, where he planned to seek asylum. He arrived at the airport, and not knowing anybody in the city, boarded a bus, eventually ending up at a terminal in the southeastern part of DC. He spent three days at the station, enduring freezing temperatures, unsure what to do next. Then Dinku got lucky. He met another Ethiopian man who, after hearing Dinku's story, drove the newly arrived asylum seeker to the offices of the Torture Abolition and Survivors Support Coalition (TASSC), a Washington-based nonprofit that aids torture survivors. By the time they arrived, Dinku was so sick from exposure, representatives from the group immediately called an ambulance to take him to a nearby hospital. Upon his release, Dinku spent three weeks in a homeless shelter before eventually reconnecting with the support group, which offered him space in a house the organization operates in Maryland. It was a fortuitous turn of events for the impoverished, desperate man, who subsequently joined six other asylum seekers living in the group home. For asylum seekers, the search for shelter can be an immediate and pressing need, according to Aimee Miller, a social worker at Human Rights First, a Washington-based organization that provides legal assistance to asylum seekers. Unlike refugees, who are pre-screened by the government and are eligible for federal assistance upon arrival, asylum seekers first have to get to the US—by using a visa, requesting help at a port of entry, or by entering illegally—before they can even submit a petition. And they are ineligible for most government benefits during the application period, which can take years. "Many of the clients that we've come to represent have no savings—no financial resources whatsoever—so they're really relying on the generosity of others," Miller said. "That's where the housing comes in. They are living on people's couches, in spare bedrooms, if they're lucky. Basically living with whoever will let them live with them." Asylum seekers have long struggled to find housing in the US, but a growing backlog of cases in the Department of Homeland Security's asylum division and in federal immigration courts has exacerbated the problem, according to nearly two dozen interviews with asylum applicants and nonprofit groups that work with this population. Since December 2014, the DHS has prioritized asylum cases from new arrivals at the US-Mexico border, lengthening the amount of time that the the global pool of asylum seekers must wait before their applications are processed. According to data published last month by US Citizenship and Immigration Services, securing an asylum interview—a process that once took six to eight weeks—can now take two to four years. Dana Leigh Marks, president of the National Association of Immigration Judges, says immigration courts are "dramatically underfunded" and the focus on cases of recent crossers has stretched resources thin. "People in certain places can have their asylum applications pending for four or five years," she said. As asylum seekers wait for their applications to wind through the system, the search for housing can be touch-and-go. Most housing support for this population comes from charity organizations, and the demand clearly outweighs the resources available. The Asylee Women Enterprise, a Baltimore-based nonprofit, for example, currently houses about 25 people, but has nearly three dozen other asylum seekers on its waiting list, according to executive director Molly Corbett.